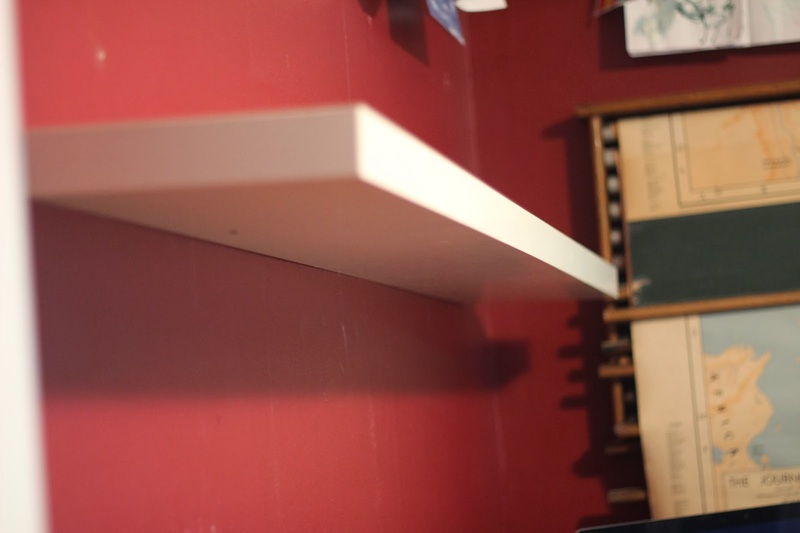 We have an IKEA Lack wall shelf living in Steve's office/my craft room. 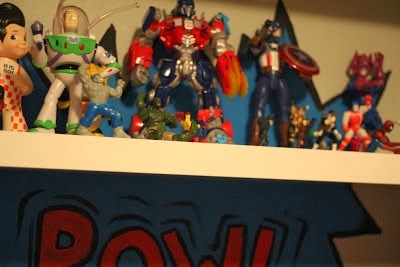 We also have IKEA Lack wall shelves in Mur-Man's super hero themed room. We LOVE THEM. They are super affordable (under $20.00) and come in a variety of sizes. However, the shelf in Steve's office wasn't supporting his heavy books very well. It was starting to lean (and honestly it made me nervous). 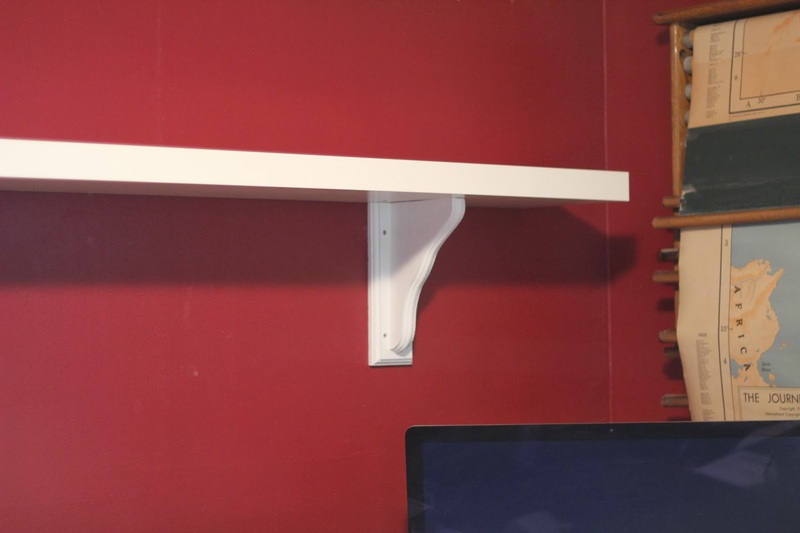 Steve came up with a plan to install wood decorative shelving brackets. They cost under $20.00 each. We purchased our brackets at Home Depot. I primed them and painted them bright white with satin finish. 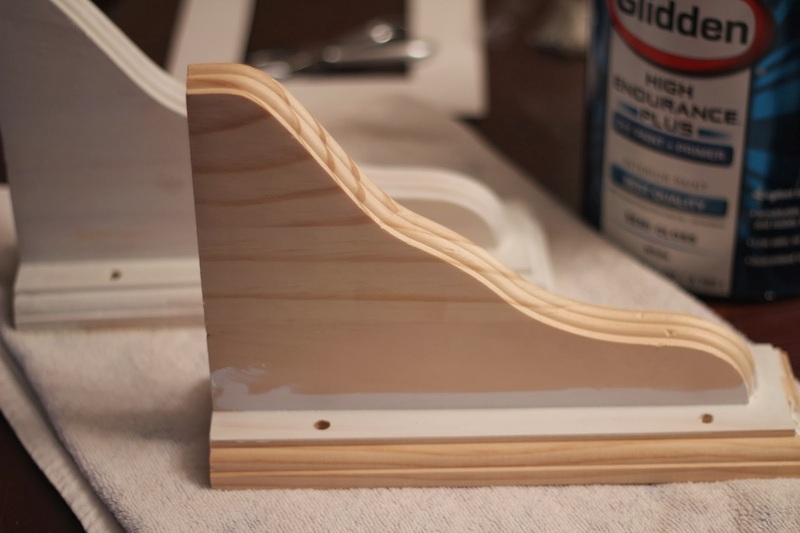 It took one coat of primer and two coats of paint. The result is so much better. They no longer lean, and honestly I like the chunky decorative addition. To really complete the look, I need to fill the holes and paint them bright white. I am digging this shelf. 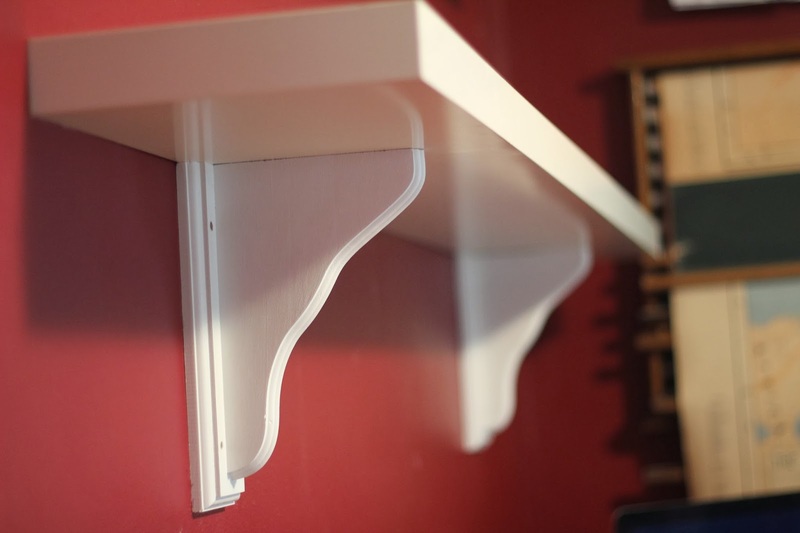 And if we end up needing a baby room (no...I am not preggers), this shelf will transition nicely into the room. The office will have to go!